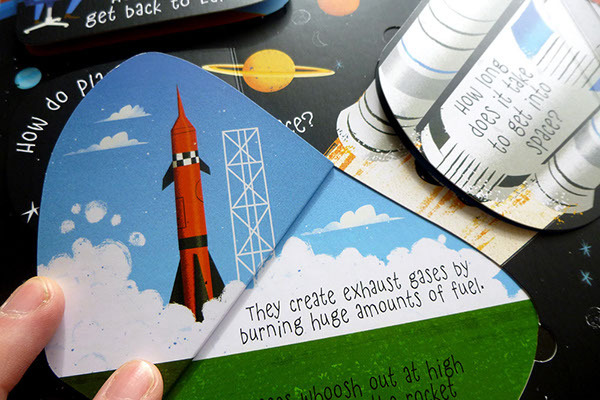 Lift-the-flaps. 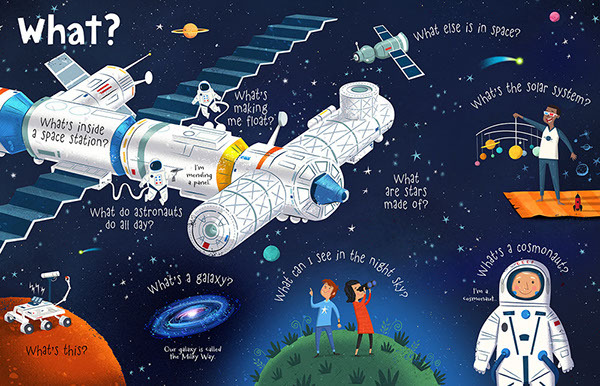 Questions and Answers about SPACE. 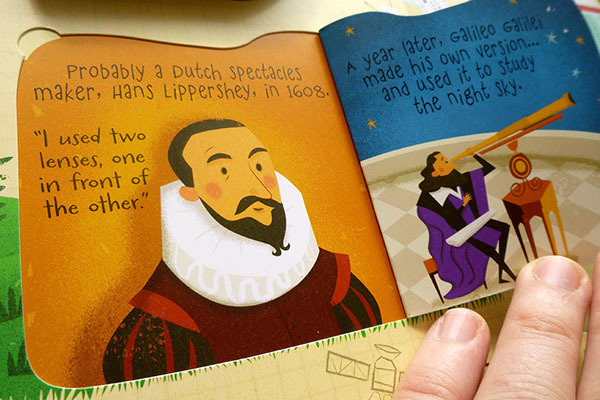 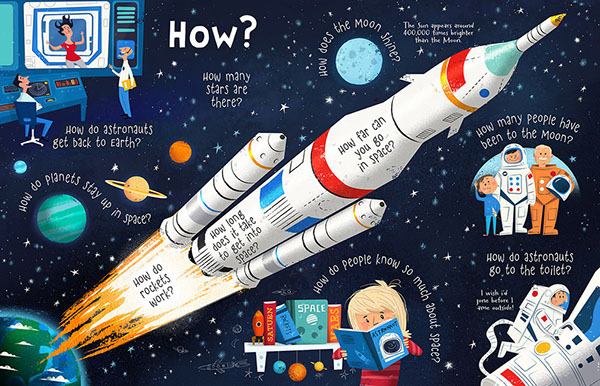 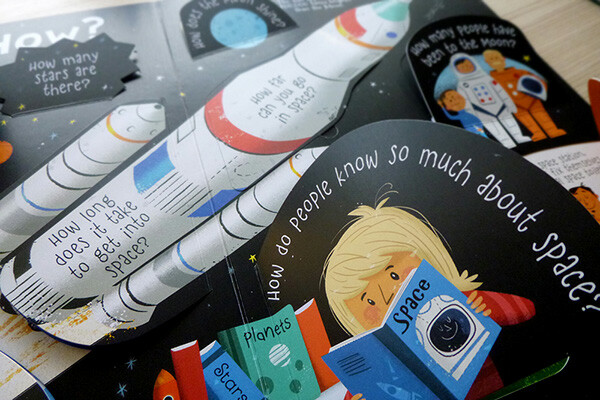 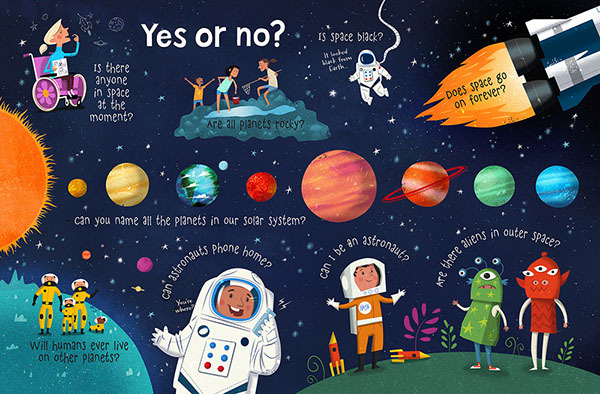 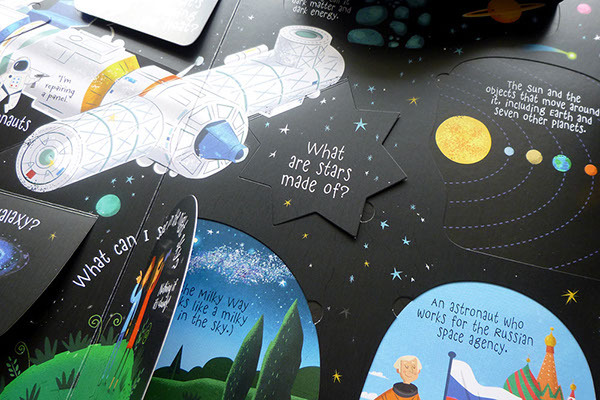 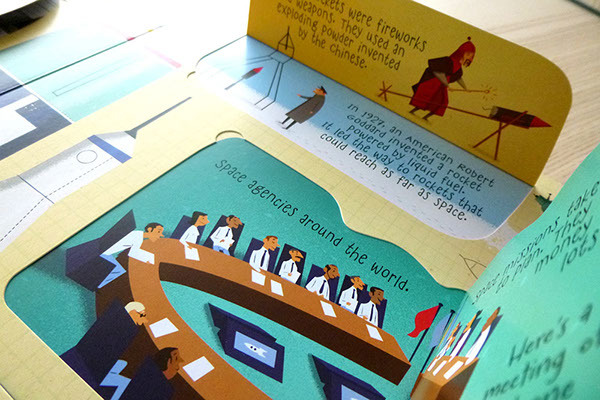 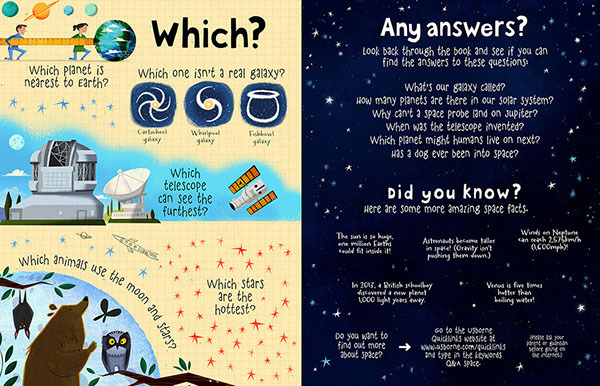 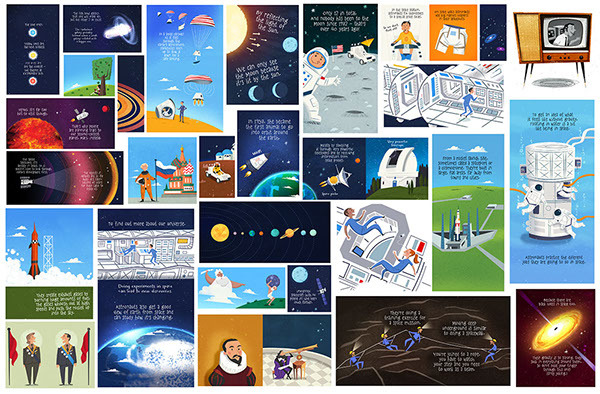 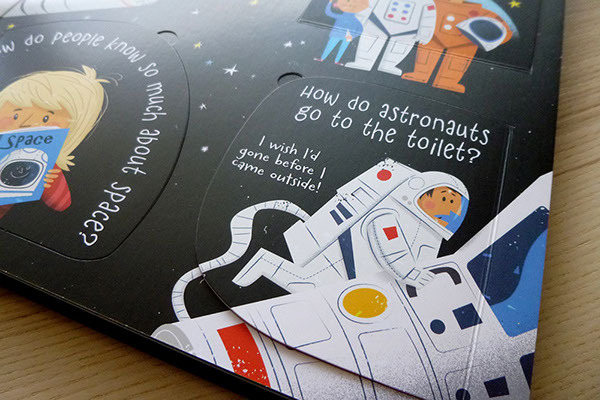 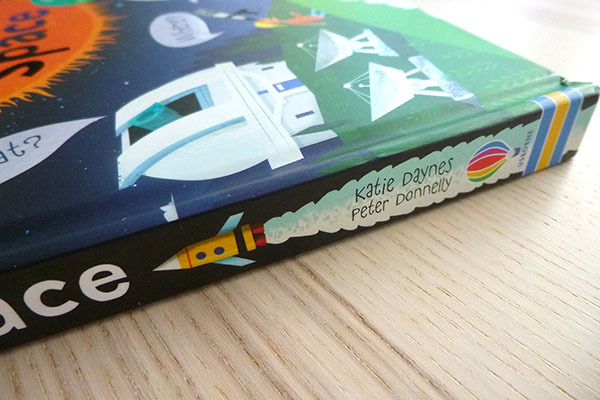 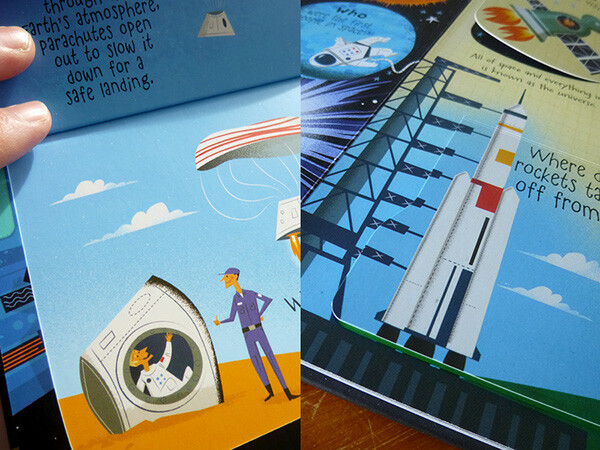 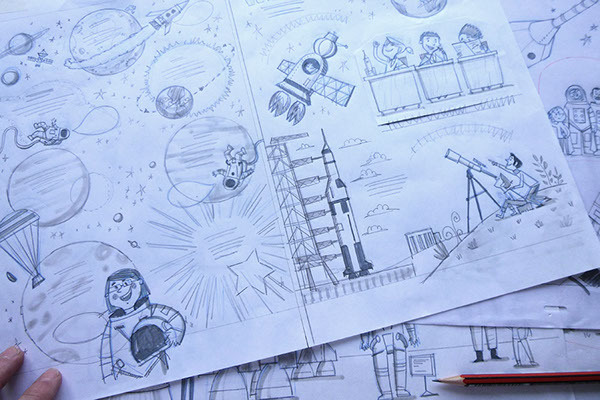 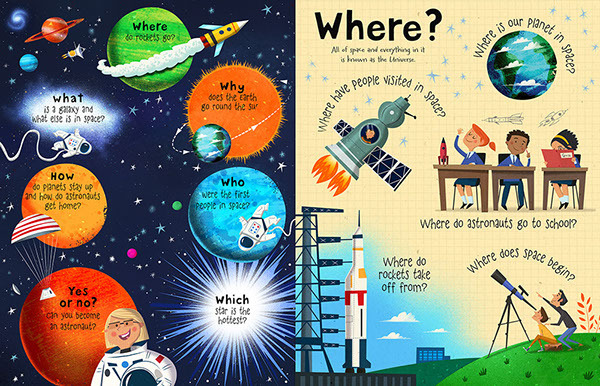 With over 60 flaps to lift, this delightful book answers questions such as "Where have people visited in space? 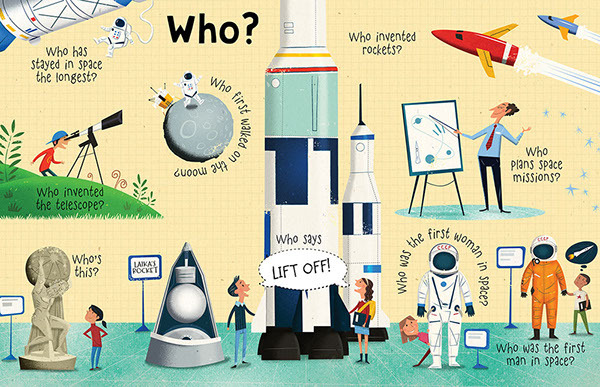 ", "What's a cosmonaut? 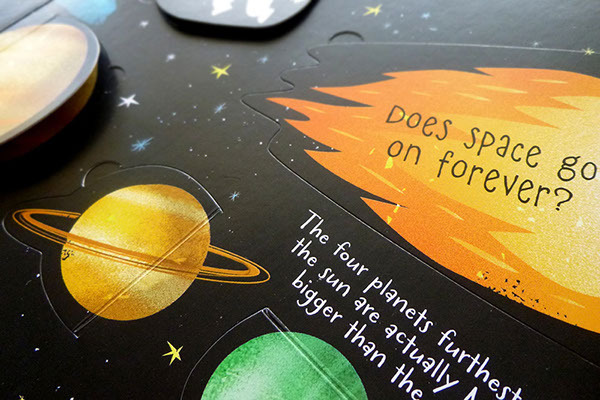 ", "Why can't I see stars in daytime?" 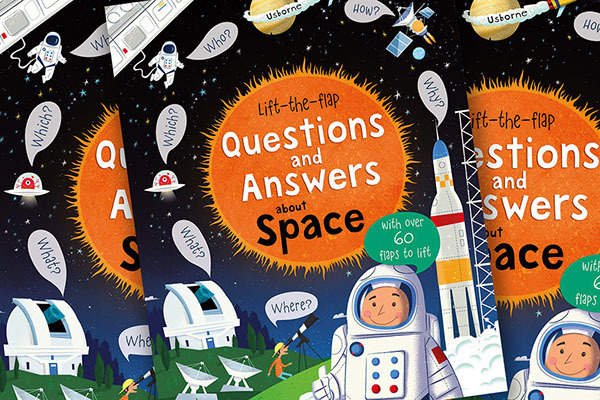 and lots more what, where, how, why, and yes or no questions with answers beneath the flaps.